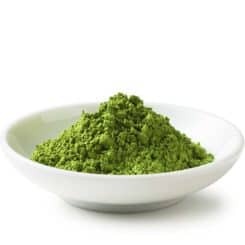 … or buy matcha powder in bulk to save! 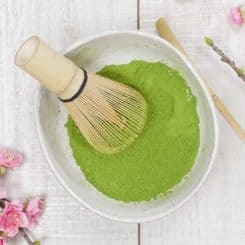 Why Zen Green Tea Matcha Powder? Zen Green Tea brings premium Japanese matcha tea powder to all Australians. Founded in 2012, we have direct relationships with family-owned tea plantations in Kyoto, Japan and as a result, we are able to offer high quality, premium grade, matcha tea powder at a significantly more accessible price than most other Australian matcha tea importers. Our premium grade green tea is vibrant green with a light non-bitter taste and every year it helps thousands of our customers to be their happiest and healthiest person. 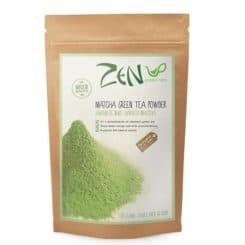 Zen’s premium grade matcha tea was recently featured as Australia’s “best matcha tea” on My Kitchen Rules and is also stocked in over 3,000 health food stores across Australia. Still not sure? That’s ok! We’re dedicated to customer satisfaction and offer free shipping throughout Australia as well as a 90 day money back guarantee on all orders.